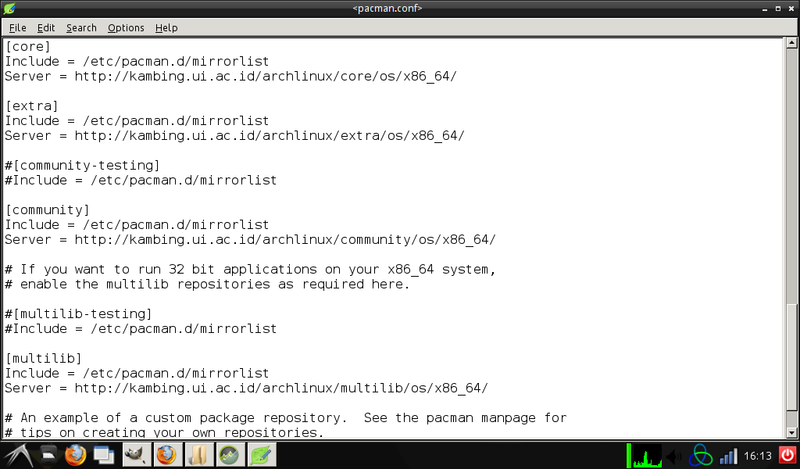 Not like previous iso, the new Archlinux 2012 media is more simple than before ;-), the AIF is now removed, and you must install it manually and the internet connection is required. 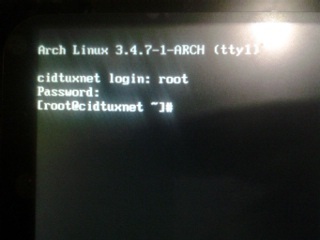 So this mean it's archlinux net install. 1. Create partition using gparted. Find a good repo on your country, for this example i'm using kambing repo. If you using 32 bit, you just need core, extra, and community. For 64 bit, if you want to be able to run 32 bit application you need enable multilib repo. Uncomment (remove #) on multilib. 7. Install Base, Base devel, internet tools. edit like this (for example), default "localhost"
Note : if you want to install CUPS, just make it default. 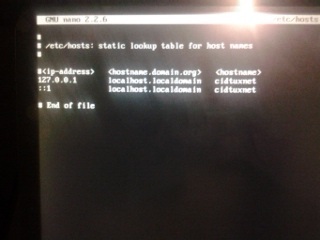 Now your archlinux base system with internet tools is installed enjoy.